Home Diseases and Conditions Why Do You Feel Hungover When You Don’t Drink? When you spend the evening drinking, it is normal to feel hungover. After all, you expected that it could happen. No one drinks a bit too much without at least thinking that a headache and nausea are a possibility. When you did not drink the night before, a hangover is a nasty surprise. You did not spend your night out having fun and getting drunk, so it seems entirely unfair that you would have a hangover. If it feels like you have a hangover when you have not been drinking, you need to go to a doctor. The common hangover symptoms are feeling weak, light sensitivity, vomiting and increased thirst. 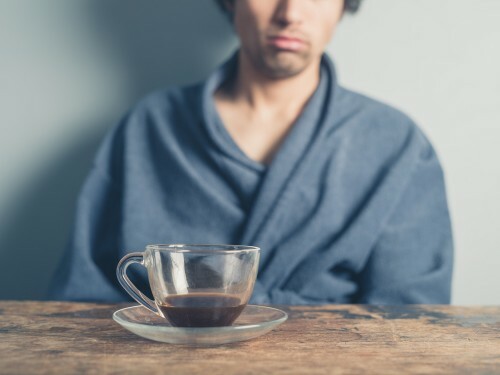 There are a few reasons why you may have these hangover symptoms without drinking and a few ways you can try to remedy the problem. Unfortunately, it is entirely possible to feel like you have a hangover when you did not drink. This could be due to something as easily remedied as dehydration, or it could be a side effect of the medication that you take. Depending on the cause and severity of your symptoms, you may need professional medical care to recover fully. A migraine can cause many of the symptoms of a hangover. You may feel dizzy, nauseous or weak. You may suffer from symptoms like blurred vision, vomiting, weakness, head pain or fuzzy vision. Resting, a cold compress on your forehead, dim lights and over-the-counter painkillers can help treat your migraine. When a virus illness first takes hold, you may only have a few symptoms. During the prodromal period, the illness is just starting. You may experience the same symptoms as a hangover without ever drinking. You may have symptoms like stomach pain, fatigue, body aches, weakness, headaches or nausea. These symptoms can be caused by viruses like the common cold, mononucleosis, gastrointestinal illnesses and influenza. If you eat an excessive amount of sugar, it can make your body feel like it is hung over. You may suffer from a brain fog or a fuzzy-feeling head. You may have loose stools, a headache, fatigue, bloating, vomiting or nausea. You may also develop mood swings or headaches. If you are overly tired, it can make you feel hungover. You pushed your body too far, so now you suffer from low energy, aches, unrefreshing sleep, headaches and weakness. You may also find it hard to remember things. This syndrome can keep your sleep from feeling restful. These symptoms can last for weeks, months or even years. Unfortunately, medical science currently does not have a cure for chronic fatigue syndrome. This syndrome may cause symptoms like feeling hungover without drinking, brain fogs, headaches, body aches or trouble concentrated. You may feel unrested when you wake up and ill after you exercise. Like any medication, sleep medicine carries side effects. One side effect has even been nicknamed the hangover effect. When you experience this symptom, it may make it hard for you to wake up or you may feel groggy as you wake up. You may suffer from nausea, headaches, a foggy head or dizziness. In this rare syndrome, your abdomen creates its own ethanol. This is because a type of yeast in your gut is causing your body to make alcohol. If you have this syndrome, you are actually having a hangover, even though you did not deliberately consume any alcohol. You may have symptoms like fatigue, dizziness, dry mouth, anxiety attacks, disorientation or depression. Caffeine can be addictive like any other drug. If you do not drink your normal cup of coffee in the morning, you may develop caffeine withdrawal symptoms. This may cause you to have trouble concentrating. You may feel like your mind is lost in a fog. You may feel tired, dizzy or weak. You could also suffer from headaches or fatigue. Your first goal is to figure out why you feel this way. If you cannot find a cause, you should definitely get checked out by your doctor. Even if you are fairly certain of a cause, you should go to your doctor to be professionally diagnosed. In the meantime, drink plenty of fluids. Alcohol-related hangovers are caused by dehydration, so your current feelings may also be due to being dehydrated. If your symptoms are due to fatigue or exhaustion, take a day off and rest. 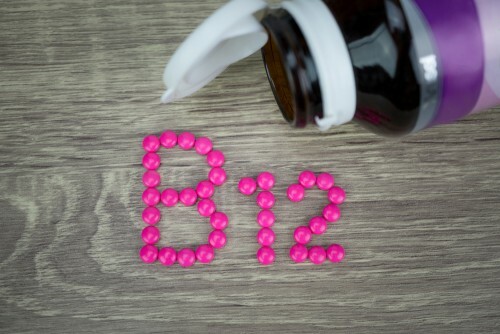 Vitamin B12 supplements can also give your body a natural boost of energy. If your symptoms continue, your doctor may need to prescribe medications to treat the illness. 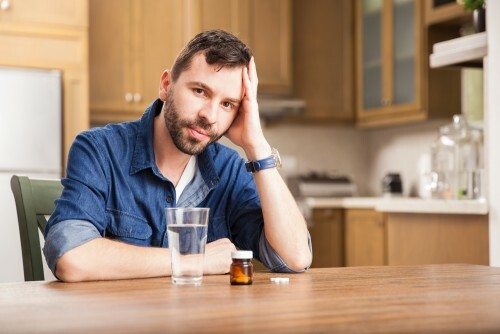 Anti-nausea medication may help calm your nausea. A vitamin B12 injection may also be needed depending on the cause of your symptoms. If you are completely dehydrated, your doctor may use an IV to quickly replace your fluid levels. Many illnesses, migraines and viral infections will cause dizziness in the beginning of the illness. If you are feeling dizzy, your doctor may prescribe medication to help treat that symptom. The best thing that you can do is go to your doctor. Misdiagnosing yourself can be dangerous, so it is important to get a professional medical opinion. This is especially important if you cannot keep fluids down or your symptoms do not go away.